Staff were extremely friendly and helpful, great location and pool area was gorgeous, perfect place to sleep off last nights antics! The location was perfect, literally 1 minute from the beach, with a mini mart a stones throw away. The facilities were excellent and the pool was great. There were a number of bars and very nice tavernas nearby (Nikolas Taverna was excellent - definitely check it out). The bus to mykonos old town only took 15 minutes and departed from right outside the hotel. So this was also great. In summary, I would highly recommend Zephyros! Great location, the bus stops right In front of the hotel which makes it easy, cheap and simple to go around the island. The Staff is great, kind and gentle always available for the guests. The breakfast is delicious. Best hotel I have ever stayed in Mykonos. Excellent value for money, it says 2 stars but it feel like a 4 star hotel. Perfect location, and the bus drops you off right in front of the hotel. The owners/operators were fantastic. The staff was friendly and helpful in every way. The property is spotless. Perfect location, very relaxing, but a 1 minute walk to the best party spots in Mykonos. All around best experience you could ask for. It was so close to the beach, and it looks like 4 stars hotel. The food. The hotel is right outside Praga beach and the bus stop. So it’s very convenient. Our hostess at the reception was very accommodating with transporting us to and from the ferry port. The staff was very friendly and provided any information we needed. Our hostess made reservations for our sunset dinner and made suggestions for which places would have the best night life. The staff was extra friendly and forthcoming with all of the best places for nightlife on the island. Housekeeping did an amazing job every day. Breakfast was included which is a huge money saver as everything on the island is very expensive. The food you are able to order from the property was amazing. The pool and pool bar were great. The cabanas were amazing and the staff always came around to be sure you were satisfied. They had satellite tv so that we could watch channels from home. Good location, very close to paraga beach, 5 min walk to the faimous Scorpios club. Nice rooms, nice pool, very good breakfast. Clean rooms with daily cleaning services and free water every day. The bus station right in front of the hotel, allthough i would recomand renting a car or ATV for more flexibility. Lock in a great price for Zephyros – rated 9 by recent guests! Zephyros This rating is a reflection of how the property compares to the industry standard when it comes to price, facilities and services available. It's based on a self-evaluation by the property. Use this rating to help choose your stay! 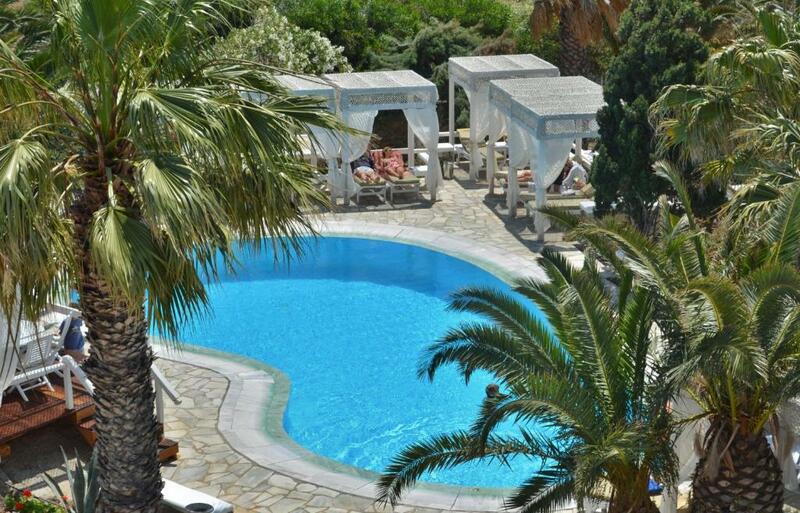 Zephyros Hotel lies on a panoramic location overlooking the sandy beach of Paraga, offering a spectacular view to the sea. Zephyros offers tasteful accommodations ranging from standard rooms to apartments, each featuring private bathroom and balcony and equipped with air-conditioning, satellite TV and refrigerator. Chocolate and water are offered upon arrival. The facilities provided by Zephyros include a restaurant, swimming pool, pool bar, hot tub, sauna, gym, table tennis, children’s playground, free wireless internet and free parking. 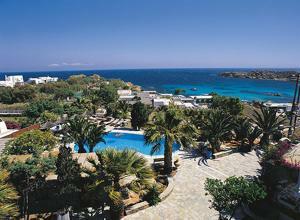 Zephyros Hotel is located 3.1 mi from the town of Mykonos and 1.9 miles from the airport. The two footpaths, west and east, lead to the beaches Platys Gialos and Paradise in 15 and 10 minutes respectively. Local busses stop just 150 feet from the hotel’s main entrance offering frequent and convenient transportation to the town of Mykonos. Spacious superior rooms, featuring welcome fruit and wine basket. Featuring private pool with hot tub and sunbeds, 2 bedrooms, 2 bathrooms, a living room with a kitchen and a veranda with access to the garden. 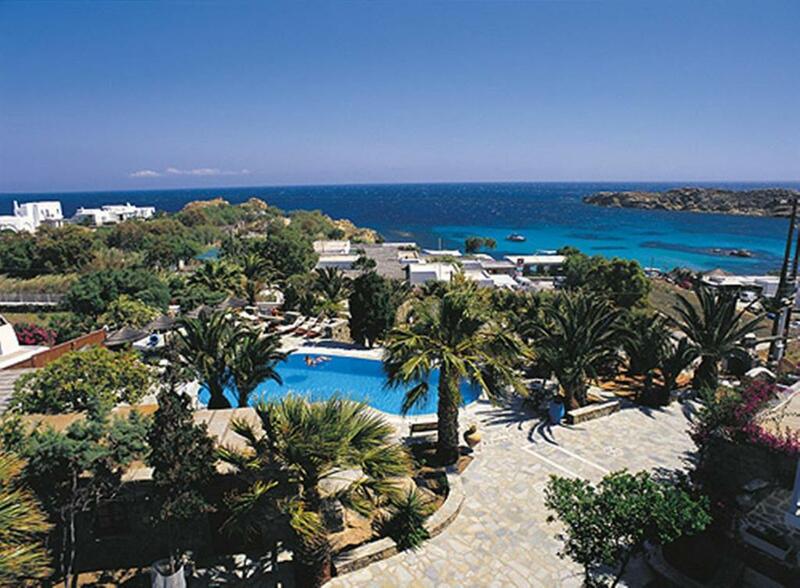 Hotel Zephyros is situated in Paraga beach, 5 km from the town, between Scorpios bar-restaurant, Kalua and Cavo Paradiso & Tropicana in Paradise beach. The walking distance for each spot is 5-10 minutes. There is a mini market just across the street where the bus station is. The bus is leaving everyhour from Paraga to the town and backwards. Another way of transportation is to rent a quad or a car and we can arrange that in the reception of Zephyros hotel. 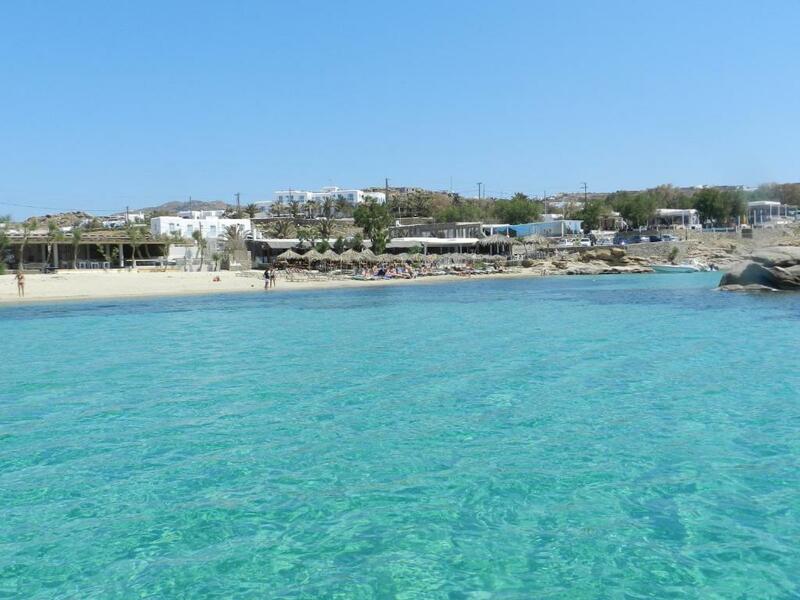 Another beach close by is Platis Yalos which is 20 minutes on foot and from this place boats are going to the major beaches of the south Mykonos every hour. Zephyros accepts these cards and reserves the right to temporarily hold an amount prior to arrival. There is a free transfer to and from the airport or port from 07:00 until 21:00. Please inform Zephyros in advance if you want to use the service. Owner and all staff very friendly. Very efficient run hotel. the property is huge.. and next to Paraga Beach. Limited menu. Breakfast was poor. Location wasnt great. Not the niceset part of the island and unless you are interested in going to Scorpios or StAnna there are not many other options for dinner within walking distance. We ended up eating in the same taverna every night. There is nothing to “not like” about this place! Where do I start! Everything about this place was “Amazing”. The staff are friendly, engaging and very professional. The owner was always close by asking “how everything is going” so nice! The food was great and always on time”kitchen open till 1030pm”, Yummy cocktails! Best Bar staff! 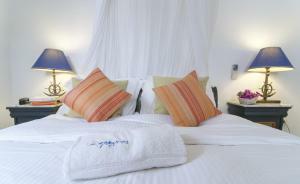 Clean Tidy rooms, always cleaned daily and left with fresh water and fruit platters! 1minute walk to the best bar in town “Scorpios” 10min joy ride to town! Perfect stay. Very good location. Beautiful pool area with view to the sea. Good breakfast and wonderful staff. I can't fault it at all. We had an amazing stay in mykonos. The staff was very kind and helpful, and speaks English well. Great location, few min walk to many restaurant and beaches. The bathroom was very small and no shower screen. The hotel is back from the beach so there is not an unobstructed view as there are lot of buildings on the beach. It is a very busy beach with all the beach clubs (as expected for Mykonos). Pool area was very nice. Handy for beach and bus stop into town. The staff were very friendly and hospitable they are now family to us. It’s our new home away from home. We will definitely be back and can’t wait to see them all again. Open shower cabin is nice but not practical. Water was all over the bathroom. Breakfast choice was limited. Nicely maintained hotel. Excellent, friendly and helpful staff. Free shuttle to/from airport. My flight was more than one hour delayed but they were still waiting for me in the airport. We were right next to reception so it was a bit noisy at times from talking. We also had a do not disturb sign on but still received a phonecall asking when they could clean. When we arranged the cleaning they actually didn't do anything, except bring new towels - this may have been a language barrier thing though. The shuttle service is great - the driver was waiting for us at the ferry and the hotel accommodated us on our final day by taking one of us to the airport and the other to the ferry. Pool was so nice and bartender very friendly - good music there too! The reception staff were nice but could have been a bit more friendly/exuberant. Breakfast was ok only. Location is great for beach clubs and the bus is just across the road to the town (especially as taxis are a nightmare in Mykonos!). Room was on smaller side but comfortable.